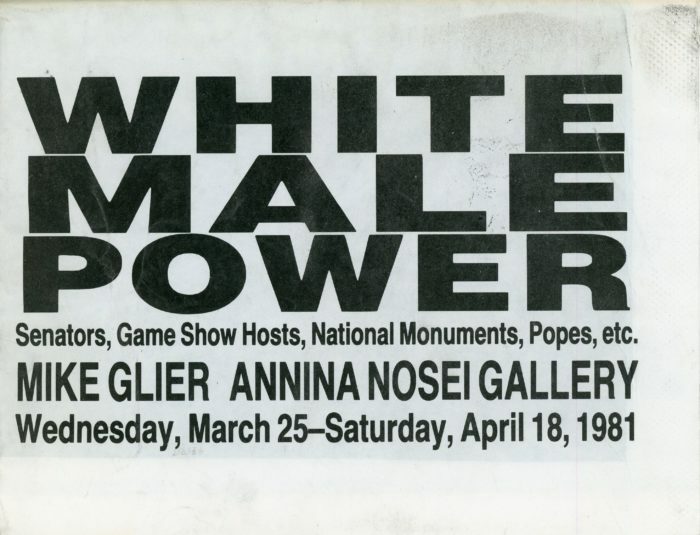 Folded poster for Mike Glier’s exhibition, White Male Power: Senators, Game Show Hosts, National Monuments, Popes, ect, at Annina Nosei Gallery, 1981. 5.5″ x 7.5″ when folded. 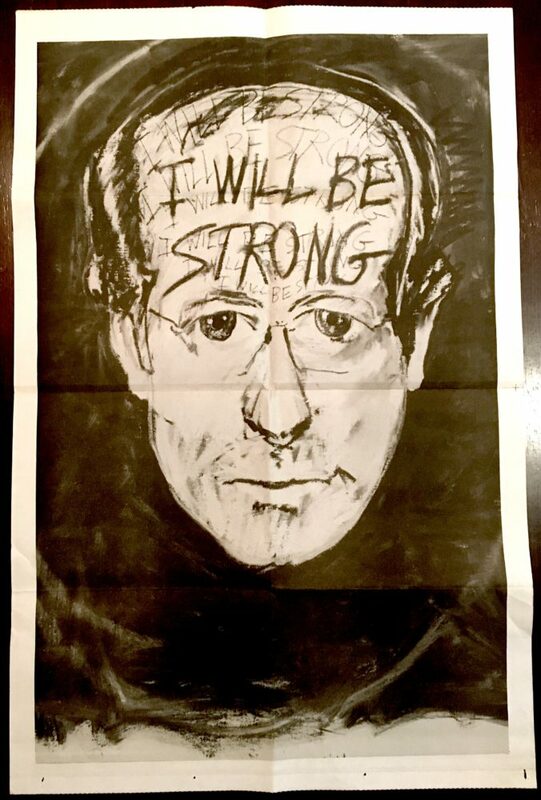 14.75″ x 22.5″ when unfolded.